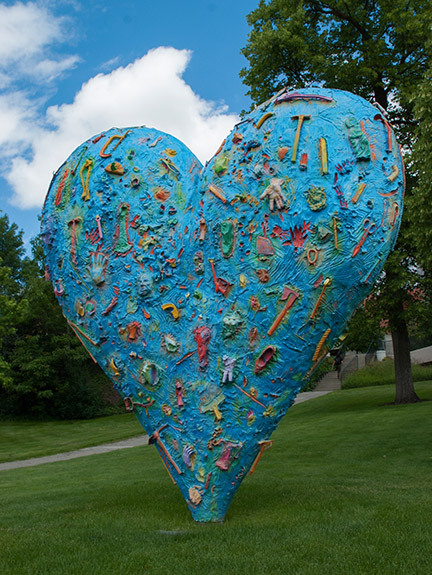 Ten years ago, artist Jim Dine left his heart in Pullman. The 12-foot-tall painted bronze sculpture called The Technicolor Heart—a blue beacon covered with ordinary items like hammers, shoes, clamps, and flashlights—has stirred conversation and controversy. Now the world-famous sculptor and printmaker is giving Washington State University a whole collection of more than 200 prints representing his work from 1967 to 2011. Valued at over $1.8 million, this print donation will be the largest university museum collection of Dine prints in the world and one of the largest collections of his prints ever assembled. Cincinnati native Dine grew up around his grandfather’s hardware store and his father’s painting supply store in the late 1940s. The experience informed his development as an artist and his adoption of tools and other everyday items in his work. He broke into the New York art scene in 1960 with performance art that combined installations, paintings, and himself. Dine was connected with emerging modern artists of the time like Jasper Johns, Claes Oldenburg, and Andy Warhol, even though his themes were less about mass media and more personal, particularly as he moved into painting. Sculpture, painting, and performance art are all meaningful to Dine, but printmaking showcases his impressive draftsmanship and drawing. During a stint in France in 1973, Dine honed his expertise with printmaker Aldo Crommelynck, who had worked with Picasso. The prints, and much of Dine’s work, offer recurring themes and images. Hearts. Bathrobes and neckties. Hammers, scissors, and saws. Venus de Milo and Pinocchio. These mundane and familiar objects become infused with Dine’s personal meaning through bright colors and textures. In the prints they evoke memory, emotion, and a palpable sense of being part of the daily world and yet of transcending it. Haas says Dine continues the traditions of printmaking while being innovative in his methods and equipment. “With etchings and woodcuts, he’ll use a lot of power tools. He’ll get drills with wire brushes and use them on the metal plates. Those marks get scarred into the metal and they hold ink,” he says. Some of the prints coming to WSU also have an impressive physicality, measuring over 11 feet long and 7 feet tall. “You can’t get a sense of how large they are unless you see them in person,” says Haas. Students can use that inspiration as they create their own works in WSU’s print studio, which is set up to do all print processes: drawing on lithographic stones, etching on copper plates, and carving woodblocks. 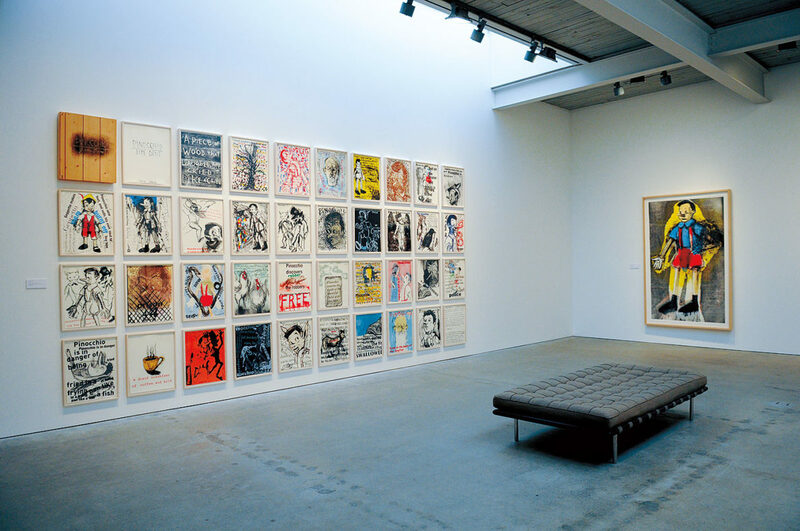 Visitors to campus will also have a chance to see Dine’s print collection in a fall 2015 exhibition.